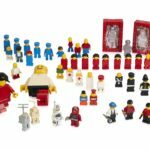 I’ve been slowly plugging through the plethora of information, images and videos from The LEGO Group, as a part of the celebrations for the 40th Anniversary of the Minifigure. 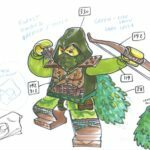 Over the last fortnight I’ve explored patents, the evolution of the minifigure, design and manufacture, and the assembly process. 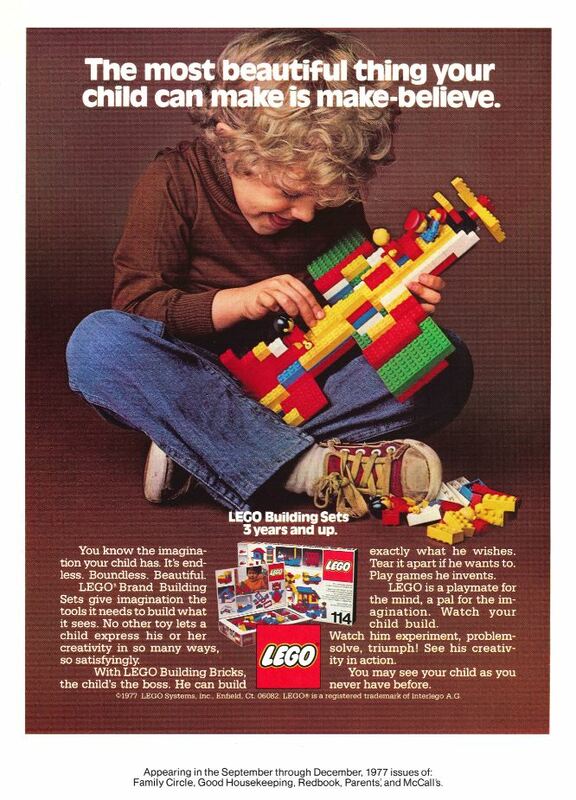 Today, in the final installment, it’s time to check out some of the different advertising posters from the 70s and 80s. I’ve loved exploring these, as they’re from all over the world, in different languages. I’ve had to cull these down considerably, as there were a ridiculous amount. 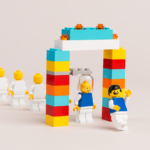 I’ll go through some of my favourite ones theme by theme, in year order as much as possible, starting with the toys for the littlest LEGO fans – DUPLO! 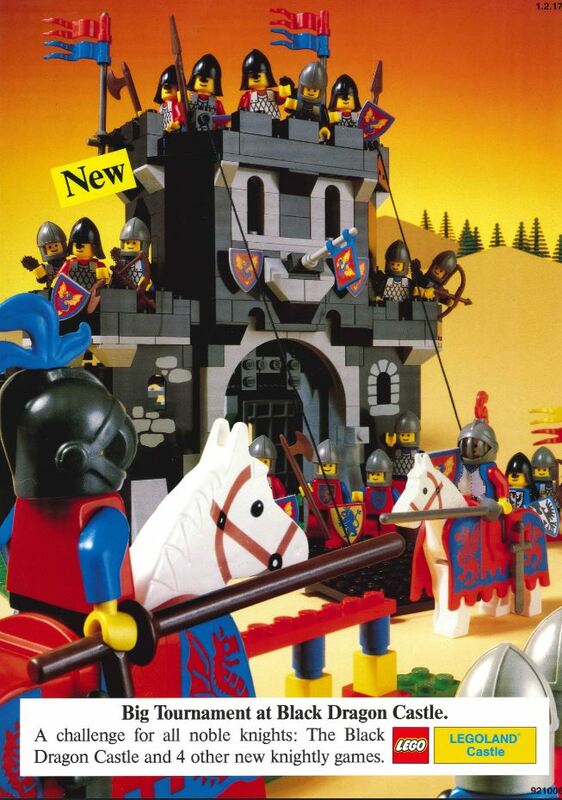 Just from the outset, I realise there’s no minifigures here, but they’re so clever and cute, I had to include them. 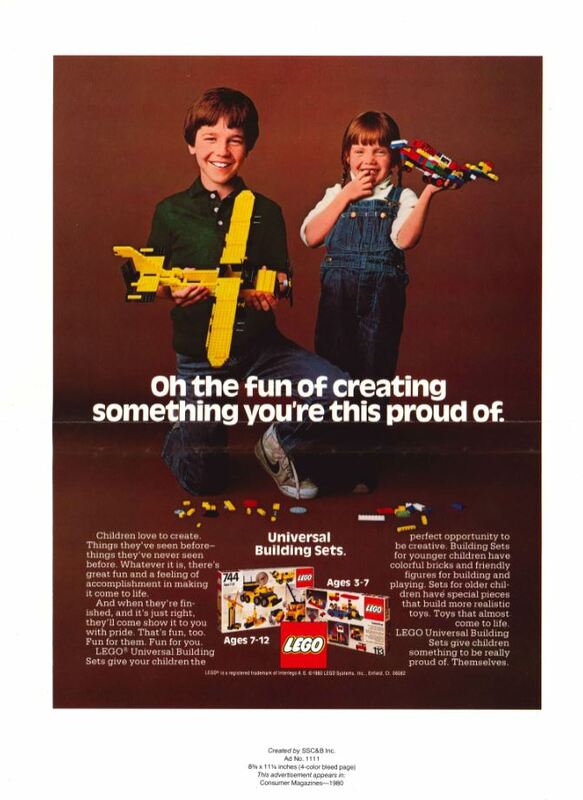 They come from 1981 and 1989 respectively. 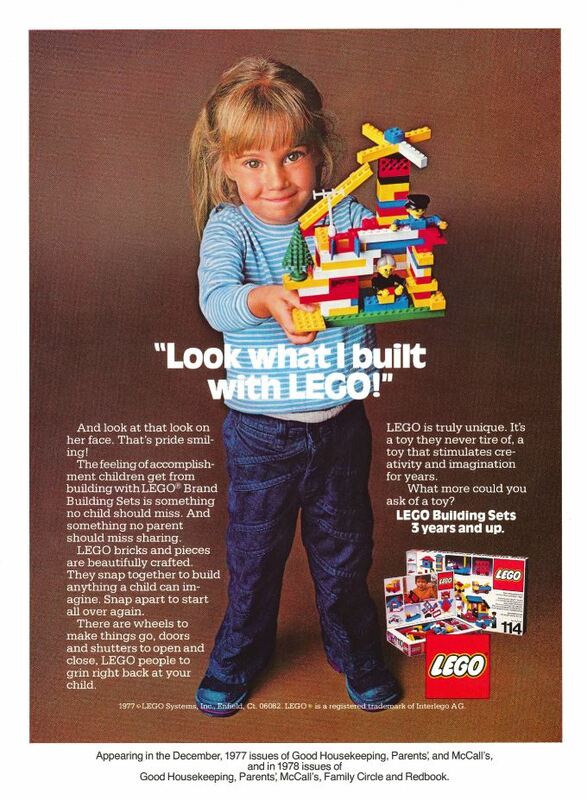 I love the clever advertising on the left one! It’s very well done. The title for the left one translates to “The first big love” (or thereabouts). 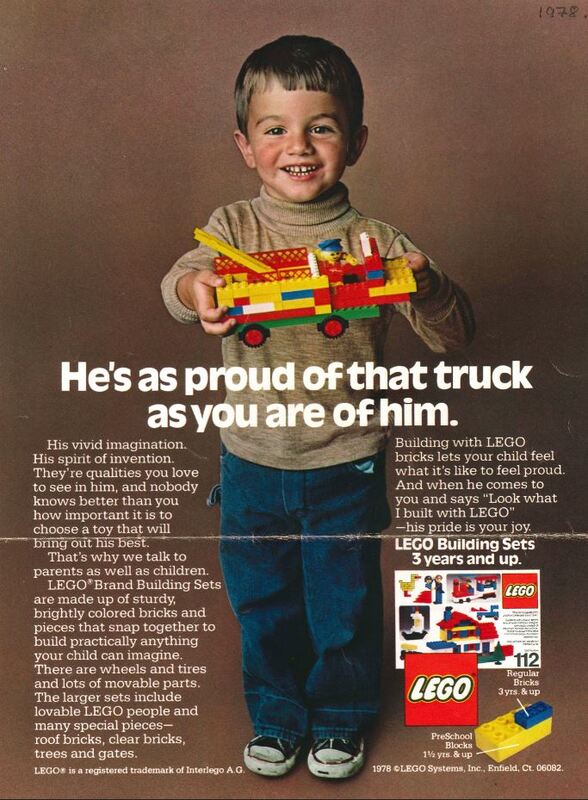 The right one is just cute, and talks about the little guy building creativity spirit and precision. He looks so excited and pleased with himself! If you’ve not noticed by now, I’m not going to spend too much time translating the images either – I’m no linguist, and Google Translate is sketchy at best. If you want to translate them and send them through, please feel free! I’ll happily add the translations to the article. 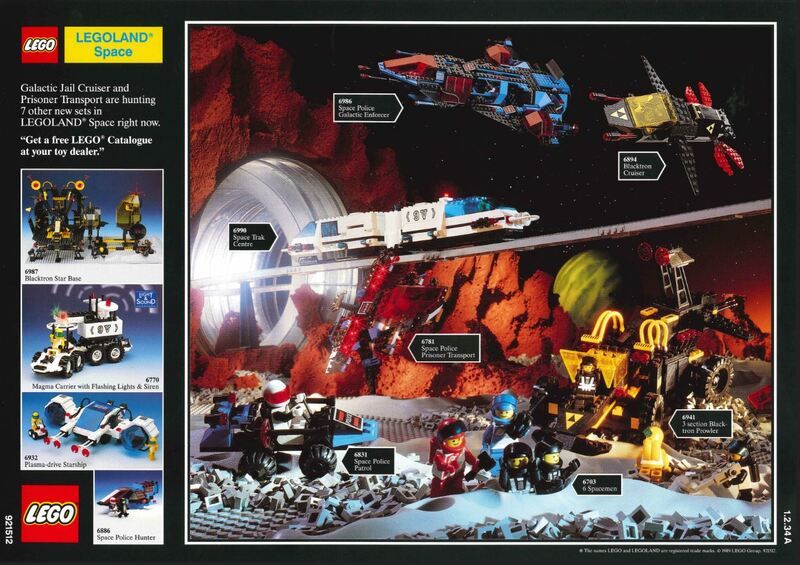 Next up we venture to the stars, with the various Space themes. 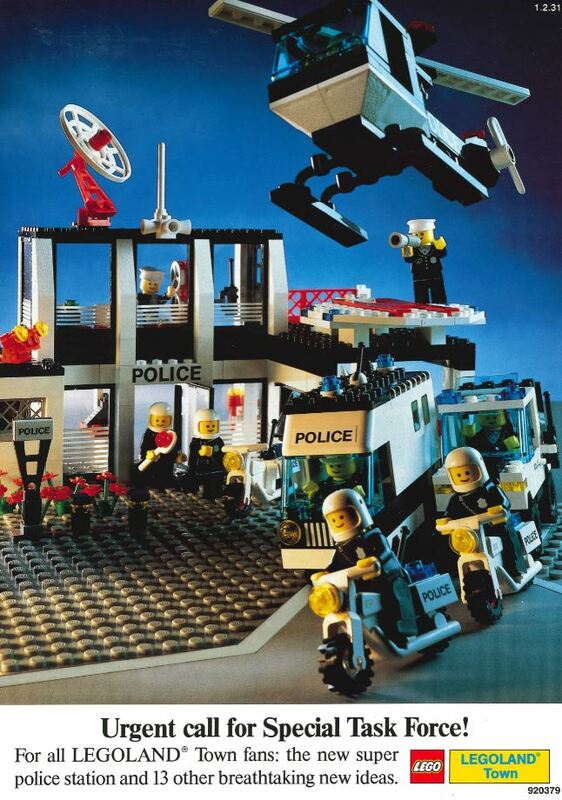 These images range from 1987 to 1989, and cover a range of different space sub-themes. It’s interesting to note that the top image and the left image on the next row are the same promo for Blacktron, just from different countries. 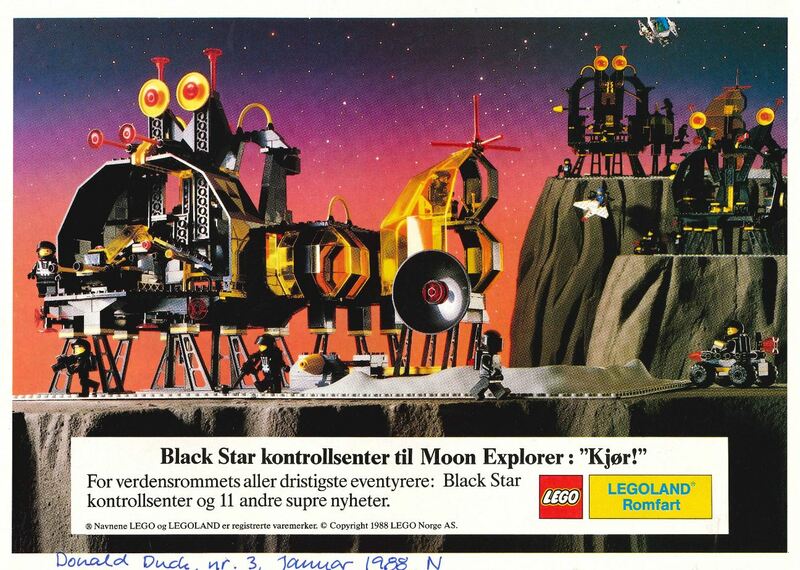 The Danish version’s image is much clearer than the English image, especially of the set in the foreground – 6987 Message Intercept Base. 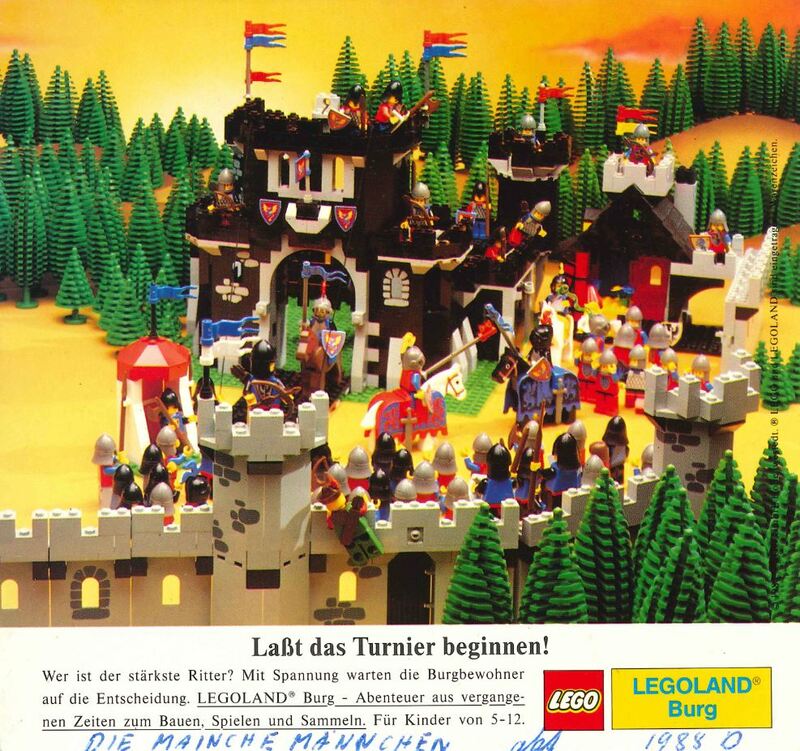 With the dark mountain background, it’s difficult to see the details of the set. 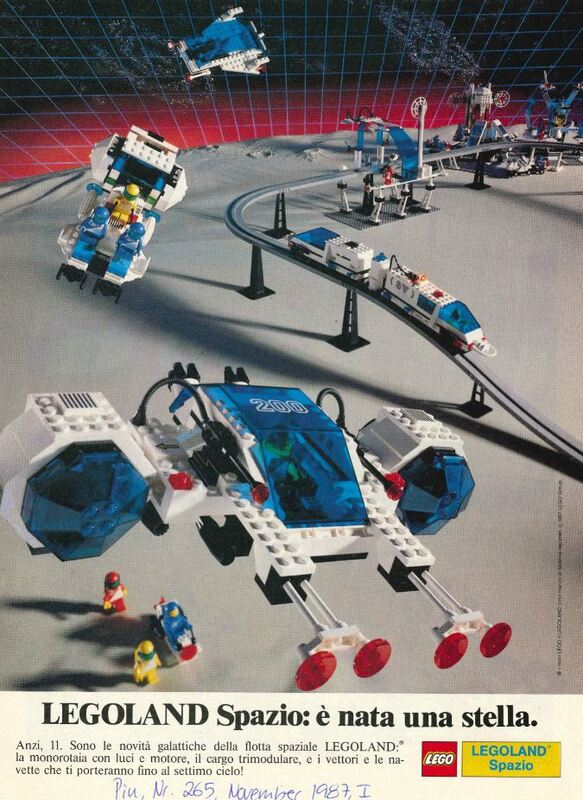 The Italian image of 6990 Monorail Train System, as well as other Futuron sets is a beauty, and the monorail is still one set many fans would dearly love to have,and wish LEGO brought back! 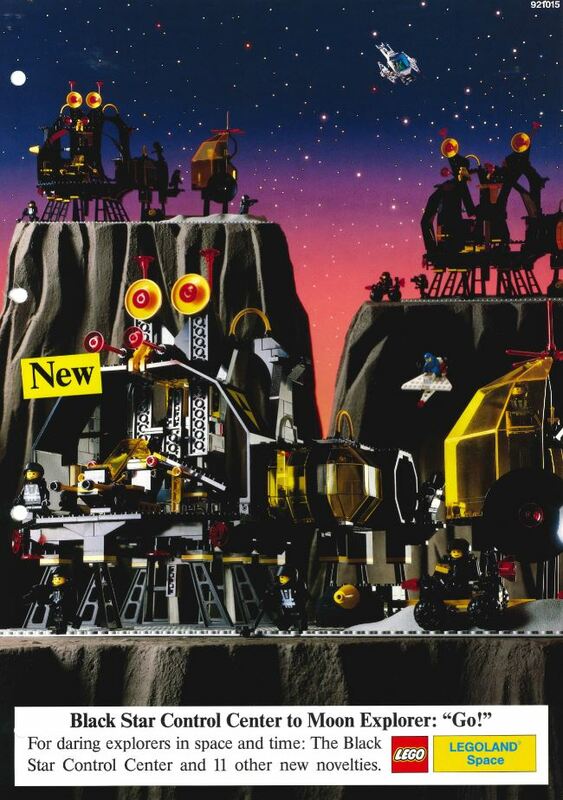 My favourite image, however, is the bottom one, combining a bunch of different space subthemes into one image. 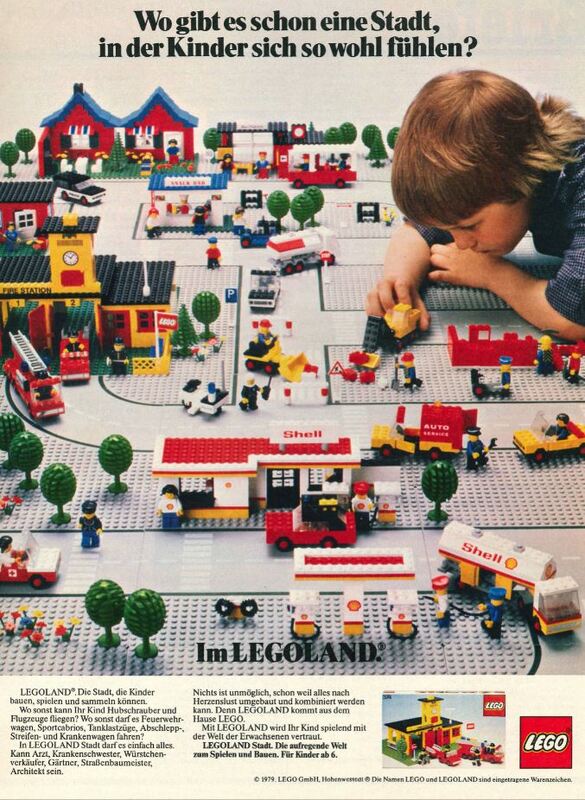 Let’s crack on, with a selection of Town set advertising ranging from 1972 to 1989. 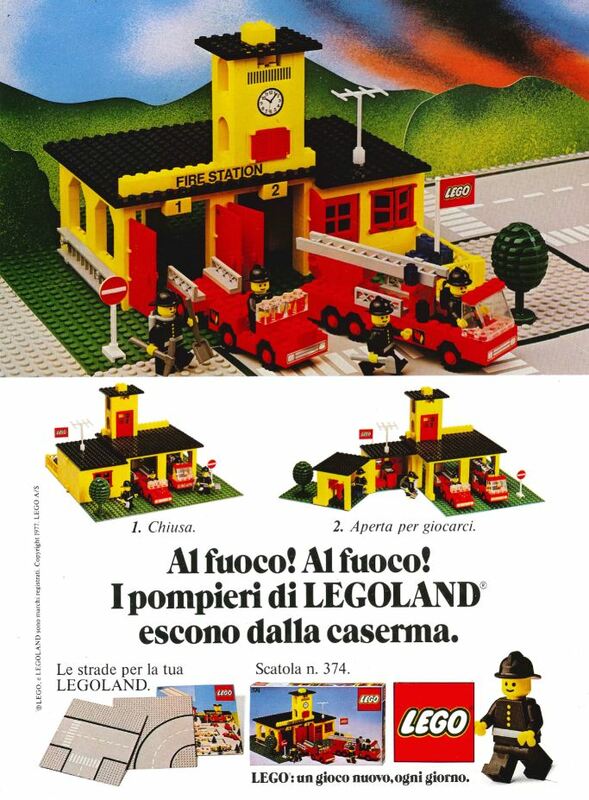 The first one really interested me, as I own a copy of 374 Fire Station, and it’s one of my favourite vintage sets. The play options in this set at the time were brilliant – being able to open up the walls and get easy access to the interiors is great. 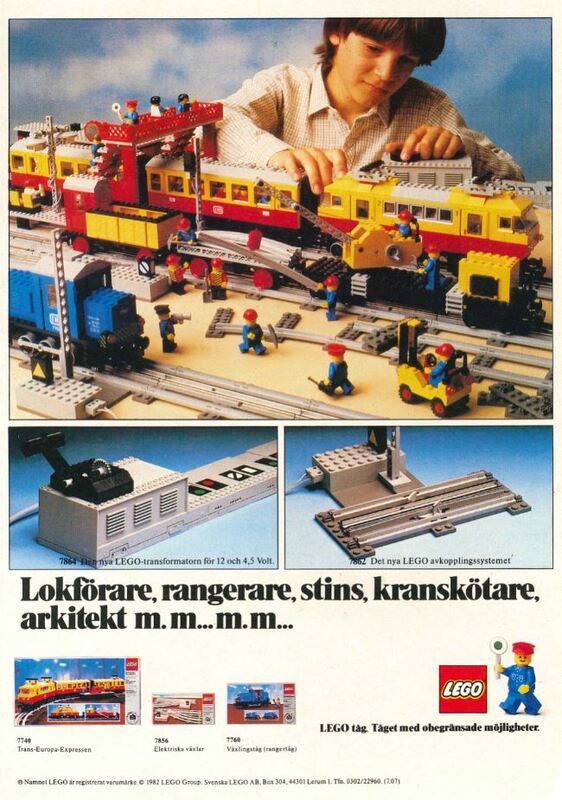 The next three images would have had kids drooling at the potential of having a huge city setup with a train network. 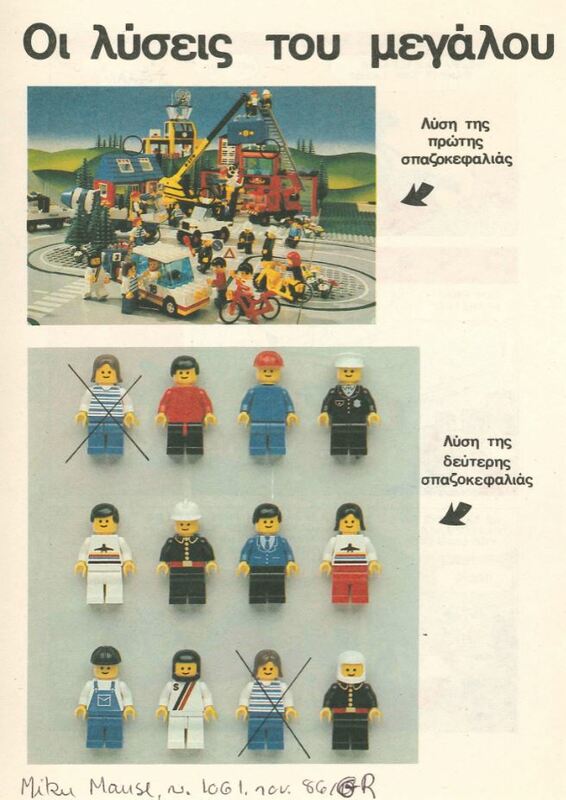 It’s interesting to see the development of the city setups between 1979 and 1982. 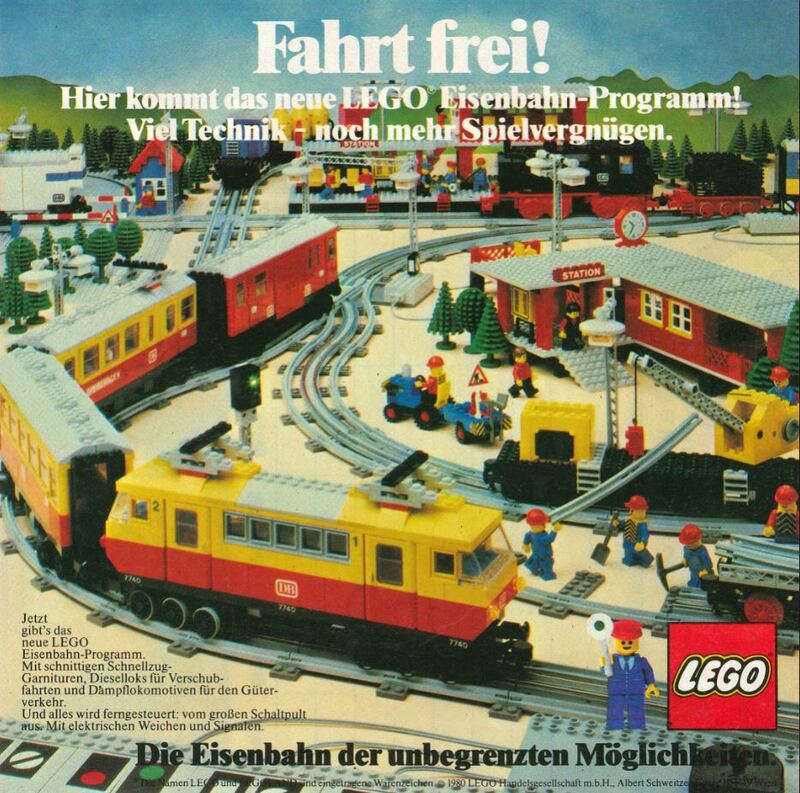 The addition of the train in 1980, regardless that the train in the third image is the same – the 12 volt 7740 Inter-City Passenger Train Set, really adds an extra level of fun and play. as well as just looking superb. 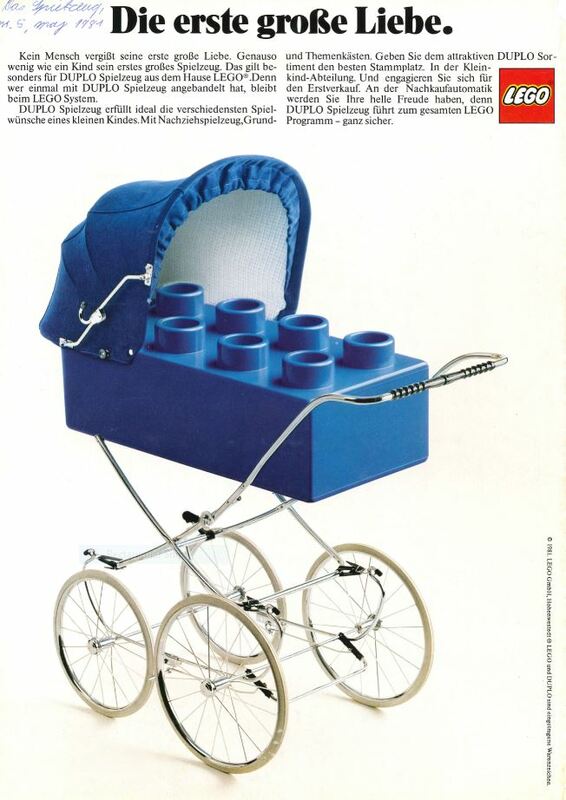 The second last image intrigues me – I think it’s from Greece, and I have absolutely no idea what it’s meant to be advertising! Google Translate has not been helpful at all, with the title translating to “the solutions of the great”, and the other lines to “solution of the first spade head”, and “solution of the second puzzler”. Of course, if it’s not Greek, then I can understand why it’s not making sense! If you can help me out, please get in touch! 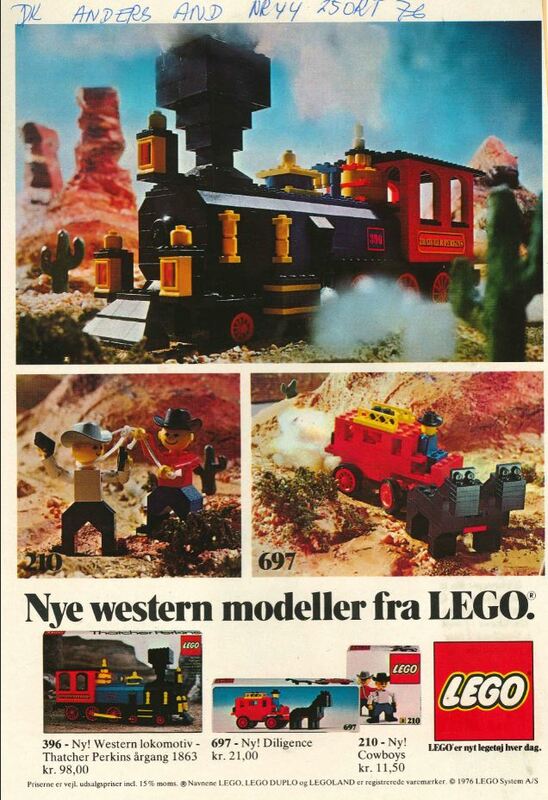 These next ones are a Wild West themed ad from 1976, and some Castle sets from 1988. 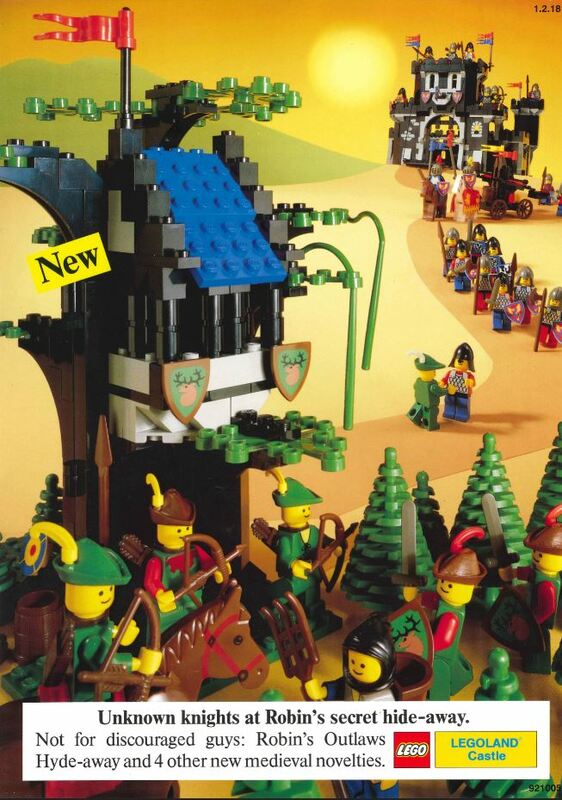 The Castle sets are awesome, but I particularly love the Wild West advert. It’s showcasing three sets – 210 Cowboys (I love the lasso), 697 Stage Coach, and the main attraction, 396 Thatcher Perkins Locomotive. I really like that the sets are displayed in a natural setting. 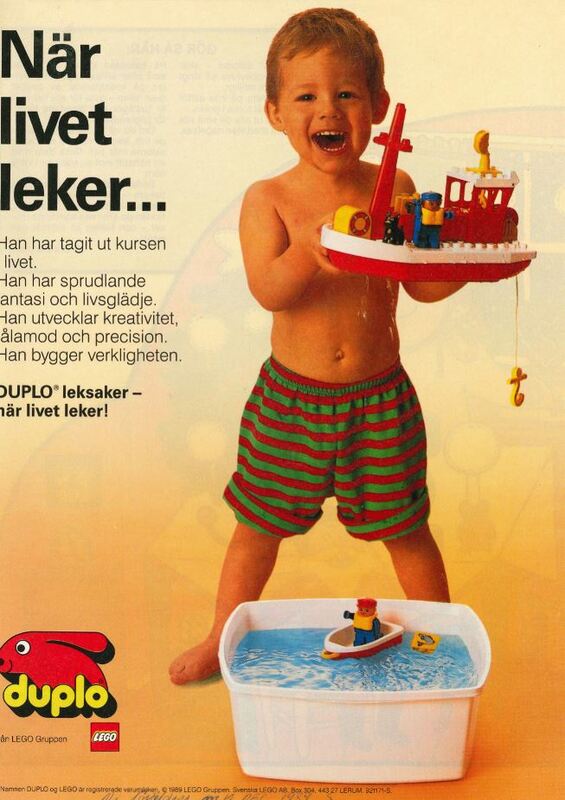 These last advertising posters are general ones in English – my favourite of all. There’s no other way to describe these, but beautiful. 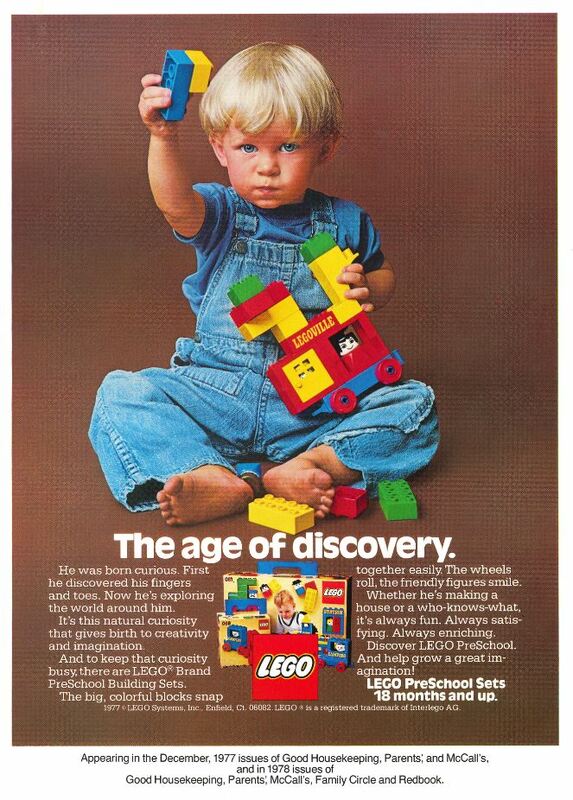 These adverts showcase the exact thing I think LEGO stands for – fun, creativity, joy and imagination. It’s also a great way to end the series. I hope you’ve enjoyed it as much as I have!